Founded in 1991, CYCLE has grown rapidly. Thanks, in large part, to our customers, which have afforded us the opportunity to become partners in accomplishing their logistical goals. Our dedicated staff of professionals have helped to make us a leader in the transportation field. Whether we are working with a Fortune 500 corporation or a small local company, our staff remains flexible and reliable while offering competitive rates to meet the needs of customers in today's marketplace. We pride ourselves on designing creative solutions to particular shipping challenges. 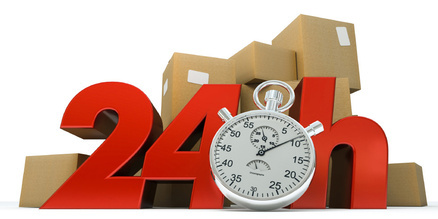 To provide maximum convenience for customers, CYCLE is open twenty- four (24) hours a day, seven (7) days a week. Whether our employees are working on a routine shipment in the middle of the week or a last minute assignment on Christmas Eve, we adhere to the highest service standards in the industry. By Installing in our staff values such us a professional courtesy, good business judgment, integrity and confidentiality, we give our customers confidence we will uphold their image and reputation as if it were ours. We understand a customer's trust and confidence are not to be taken for granted; to us they are serious responsibility, and we work towards earning them each and every day.